In its two museums of Péronne and Thiepval, the Historial, Museum of the Great War presents the full magnitude of the First World War. 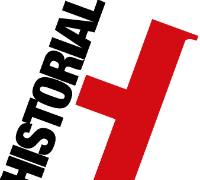 First conceived by the Somme Departmental Council, the Historial is currently managed as a public service delegation for this local authority. The Historial, Museum of the Great War was opened in 1992, at the very heart of the Somme Battlefields in Péronne. The contemporary museum, designed by architect Henri-Edouard Ciriani, was incorporated into Péronne’s 13th century castle, an emblem of the town of Péronne, besieged many times throughout history. With the Somme Departmental Council, Europe, and the Thiepval Project, the Historial, Museum of the Great War unveiled the Thiepval Visitor and Interpretation Centre at the foot of the Thiepval Memorial to the Missing. The vocation of this centre, the second site of the Historial, is to welcome and inform visitors wishing to learn more about the Battle of the Somme and the First World War. It includes a permanent trilingual exhibition of information, photographs and film, and a book and souvenir shop containing a wide selection of war related books. The Historial, Museum of the Great War launched a major renovation and development programme at both Péronne and Thiepval that would span the five years of commemorations of the Centenary of the First World War. The first project, completed during the annual winter closing of 2014, included the reversal of the museum of Péronne’s permanent exhibition. Renovations at the Historial continued and four new galleries were opened in converted rooms of the castle. These new rooms had three specific aims: to develop the museum’s permanent exhibition, affirm the presence of the castle in the museum of Péronne, and enable visitors to learn about new facets of local history. The first stone of the new museum of the Historial, Museum of the Great War was laid, this time at Thiepval. In Péronne, the renovation of the central hall dedicated to Otto Dix was completed, followed in November 2015 by the post-war hall. The new audiovisual room was also completed, enabling visitors to watch an introductory film presenting the First World War. The Historial continued to develop its multimedia displays; after the touch screen tables and tablets installed during 2015, a smartphone and tablet app especially for younger visitors is now available. Highlight of the year, the Thiepval Museum was unveiled after a year in the making. Visitors can now discover 450m2 of exhibitions dedicated to the battles of the Somme, the Missing and the aces of aviation. This symbolic site, at the foot of the memorial, now has its very own museum.